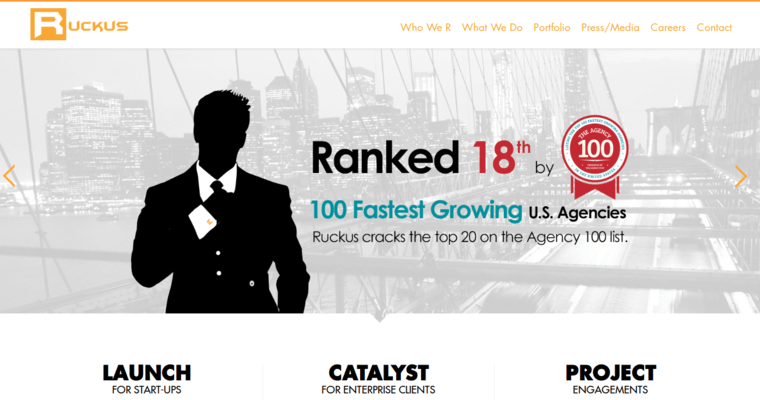 Ruckus Marketing is a web design firm with headquarters in New York. The firm has been offering web design and online marketing services since 2002. 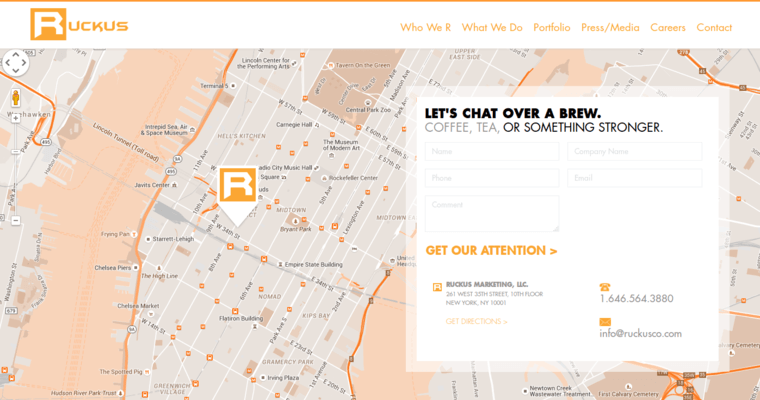 Ruckus Marketing uses UX/UI design to create a website that is informative, interactive and responsive. If you are selling products, the firm creates an ecommerce website that makes it easy to navigate through your inventory. You can also hire the firm to create a mobile or website application for your business. It is important to connect with your audience, and this is why Ruckus Marketing creates a brand that delivers your message. The services include logo design, positioning and messaging. The team creates a campaign that is sure to drive traffic to your business. The online marketing services include search engine optimization, search engine marketing, digital and media. 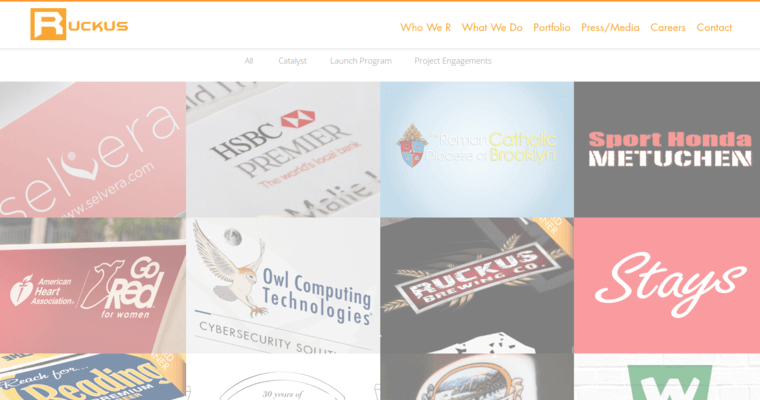 Ruckus Marketing has experience in working with clients such as Corigin Ventures, Ruckus Brewing and the Freedom Boat Club.